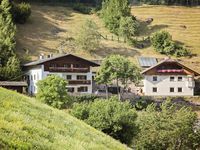 Properties in Alto Adige average 4.7 out of 5 stars. Property 19: New and fully furnished apartment! Calm and relaxation guaranteed! SPRING HIKING AND BIKING IN SUNNY VINSCHGAU! Property 20: SPRING HIKING AND BIKING IN SUNNY VINSCHGAU! Property 21: Beautiful views of the Meran basin and the surrounding mountains. Property 32: Quiet, sunny location with great views over Merano and surroundings. 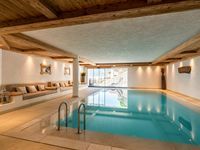 Property 35: Holiday Farmhouse - Ferienwohnung " St. Moritz "
Property 36: Holiday Farmhouse - Ferienwohnung " St. Nikolaus "